Outside the classroom, you have the opportunity to explore the South Downs National Park on local field trips and to go on trips to Wales, Devon, Yorkshire, Portugal, Southern Africa, the Red Sea and Ecuador. This – alongside modules on research methods and technologies such as Geographical Information Systems (GIS) – gives you real-world research experience before you graduate. 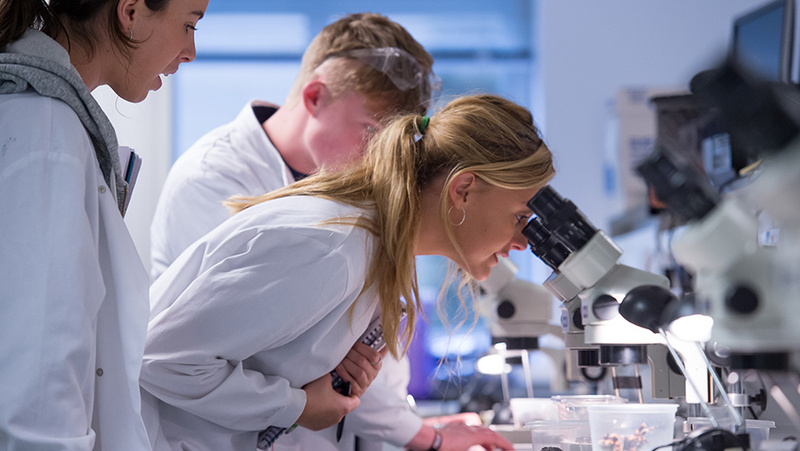 A-level must include at least one from Biology, Chemistry, Environmental Science or Physics or BTEC Level 3 National Diploma must be in Applied Science and have relevant modules. If you have taken a science A-level you will also normally need to pass the separate science practical assessment in a science subject. If you are not able to take the science practical assessment, applications will be considered on a case-by-case basis. You will need to be taking the science strand within the French Baccalauréat with good results (12/20) in at least one science subject other than Mathematics.